This research is being financed by The Rabies Challenge Fund, a charitable trust founded by pet vaccine disclosure advocate Kris L. Christine of Maine, who serves as Co-Trustee with world-renowned veterinary research scientist and practicing clinician, Dr. W. Jean Dodds of Hemopet in California. The Rabies Challenge Fund recently met its goal of $177,000 to fund the studies' first year budget with contributions from dog owners, canine groups, trainers, veterinarians, and small businesses. Annual budget goals of $150,000 for the studies must be met in the future. 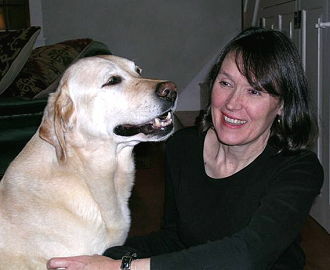 "This is the first time in my 43 years of involvement in veterinary issues that what started as a grass-roots effort to change an outmoded regulation affecting animals will be addressed scientifically by an acknowledged expert to benefit all canines in the future," says W. Jean Dodds, DVM. Dr. Ronald Schultz, DVM comments on the news, "We are all very excited to start this study that will hopefully demonstrate that rabies vaccines can provide a minimum of seven years of immunity." "Because the rabies vaccine is the most potent of the veterinary vaccines and associated with significant adverse reactions, it should not be given more often than is necessary to maintain immunity." Scientific data published in 1992 by Michel Aubert and his research team demonstrated that dogs were immune to a rabies challenge 5 years after vaccination, while Dr. Schultz's serological studies documented antibody titer counts at levels known to confer immunity to rabies 7 years post-vaccination. This data strongly suggests that state laws requiring annual or triennial rabies boosters for dogs are redundant. Because the rabies vaccine is the most potent of the veterinary vaccines and associated with significant adverse reactions, it should not be given more often than is necessary to maintain immunity. Adverse reactions such autoimmune diseases affecting the thyroid, joints, blood, eyes, skin, kidney, liver, bowel and central nervous system, anaphylactic shock, aggression, seizures, epilepsy and fibrosarcomas at injection sites are linked to rabies vaccinations. "Because the USDA does not require vaccine manufacturers to provide long-term duration of immunity studies documenting maximum effectiveness when licensing their products, concerned dog owners have contributed the money to fund this research themselves. We want to ensure that rabies immunization laws are based upon independent, long-term scientific data," says Kris Christine. More information and regular updates on The Rabies Challenge Fund and the concurrent five and seven year challenge studies it is financing can be found at the fund's website designed by volunteer Andrea Brin at www.RabiesChallengeFund.org.